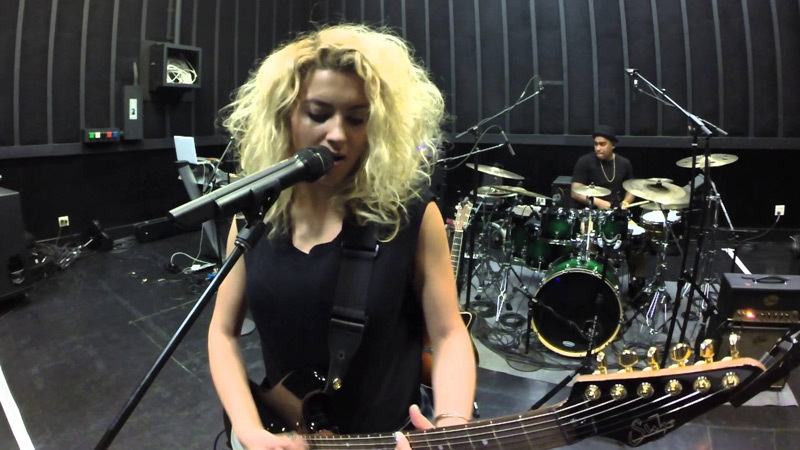 Santa Monica, Calif., July 28, 2015 — On Antelope Audio’s latest video of an exclusive performance of ‘Confetti’, Tori Kelly showcases her confidence and versatility as writer, performer, arranger, instrumentalist and vocalist. The session — mixed and engineered by the inimitable Mick Guzauski — is a sonic euphony, calling on key touchstones of the Antelope Audio ecosystem: the Orion32, the MP32 microphone preamplifier, the 10M Atomic Clock and the Zen Studio. The pristine sound of Antelope Audio can also be heard on Tori Kelly’s North American tour, which is supported each night with eight tracks of pristine playback running through the Orion32 interface. “It seems like most playback systems have a harsh quality to them — especially when the vocals and keyboards kick in,” Allwyn continues. “The Orion32 just destroys everything else we have heard and now I am hearing very natural sounding mids, as well as a tight presence in the low end.” Tori Kelly’s playback tracks run through Logic, with each of the eight tracks through a Radial SW8 Auto-Switcher before being played back by the Orion32 interface. Kelly initially heard of Antelope through a bass player colleague and was soon connected with the company’s U.S. Sales Director, Marcel James. It wasn’t long before James set up a live demo of Antelope gear, highlighted by a recording session with Tori Kelly, recorded and mixed by GRAMMY Award-winning engineer Mick Guzauski. The exclusive session, which is available on YouTube, featured Kelly performing ‘Confetti’ — a song that she originally composed, produced and recorded all by herself in her bedroom many years ago.